It's THAT time...when we pull out the stops and show you what we've bee working so hard on! We have three amazing days of sneak peeks this week, so bookmark our page, and check back often! 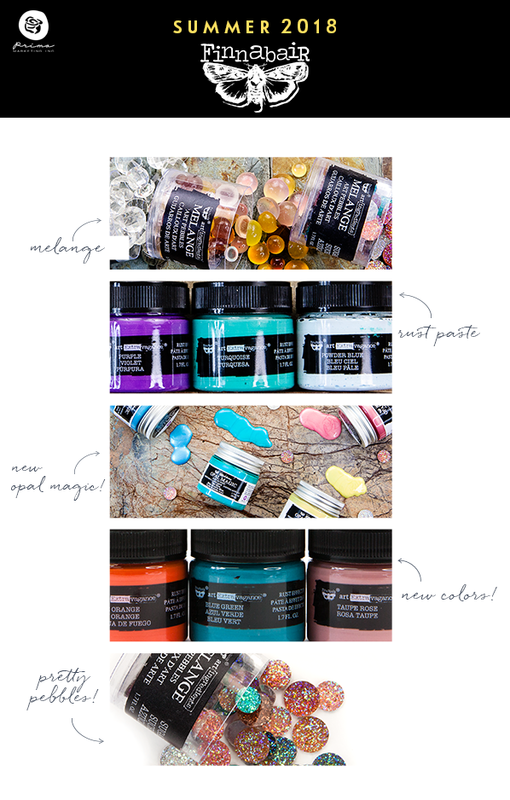 Today we have a wonderful sneak peek of a few new Finnabair products that will bring amazing texture and gorgeous color to your creative table! How exciting! Watch right here all week as we show off a few more NEW SUMMER 2018 products!